While the English teams were busy with FA Cup action this weekend, football around the other top leagues was resumed as normal and as expected, there were matches with drama, goals, and display of beautiful football. From the Bundesliga to the Ligue 1, here is a review on a few matches from across the top leagues in world football. Monaco lead the Ligue 1 table by 4 points having played a game more than second place PSG, after having failed to extend that to 6 in result of their 1-1 draw away at relegation threatened Bastia this weekend. The home side took a surprise lead early in the first half as Sadio Diallo beat goalkeeper Danijel Subasic from close range in the 19th minute. However, that was cancelled out in the next 45 as Portugal midfielder Bernardo Silva pulled the leaders level in the 52nd minute when he headed in an Almamy Toure cross. This result means that PSG could move within one point of the leaders if they manage to beat Toulouse on Sunday. Monaco can turn their week around and make it better with a victory away at the Etihad when they face City in the last 16 first leg of the Uefa Champions League that takes place midweek. Another match, another victory for the Old lady as they took Palermo to the cleaners with a 4-1 thrashing in yet another splendid home performance in the Serie A.
Dybala was a horror show his former team couldn’t deal with as he helped himself to a brace while Higuain and C.Marchisio added one goal each as all the away side could afford was a consolation after the 90th minute through I.Chochev. 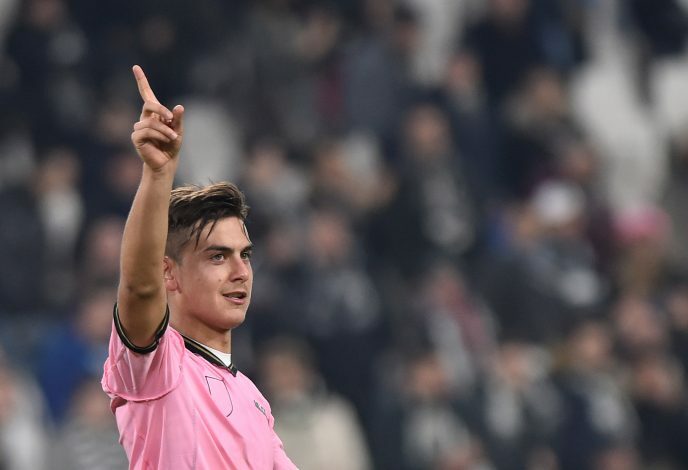 Higuain netted in his 19th of the season assisted by Dybala while Marchisio scored his first after May 2015. This was the defending champion’s sixth consecutive win, good form to take into their away fixture vs Porto din the Uefa Champions League round 16 first leg natch to be held midweek. The only regret Juve might have is ending a 5 match clean sheet run in the dying minutes of the game, which however did not stop them from going 10 points clear at the top of the table. Dortmund bounced back from two consecutive losses with an impressive and easy 3-0 drubbing of Wolfsburg at home with the help of a star performance from L.Piszczek who scored one and played a part in the other two goals. Jeffrey Bruma started proceedings with a bizarre own goal in the 20th minute which was followed by Piszczek and Dembele adding a goal each in the first fifteen minutes of the second half. The match was held in front of an empty yellow wall, which was abandoned for this game due to incidents that took place against Leipzig earlier this month. The victory however was comfortable and dominant and resulted in the home side finishing the weekend in third place with a points tally of 37 from 21 games this season. Aubameyang did get a 4th goal for his side which was eventually flagged as offside and the match ended with a 3-0 scoreline and a much needed win and clean sheet for Tuchel’s men.